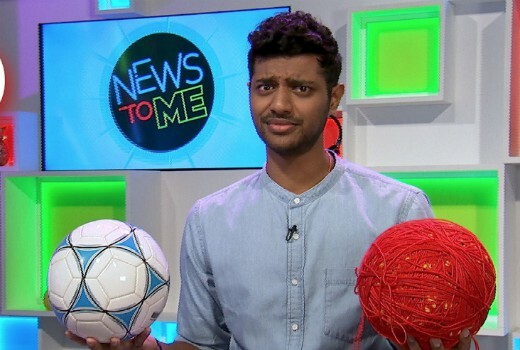 ABC ME host Lawrence Gunatilaka will host Project Planet, the 8 part junior version of War on Waste. Rallying younger viewers to help the environment by making a meaningful contribution to sustainability, this features high schools in Tasmania, Northern Territory and Western Australia. Screening Wednesdays and Thursdays at 4.30pm from July 25th, Project Planet showcases a group of dynamic young people from three diverse classrooms across the country who are ready to shake things up. Over 8 weeks, these Waste Warriors take on a huge mission to transform their schools from being eco wastelands to waste-wise wonderlands. They will make lasting and dramatic changes that will make a real difference to the way all of us can reduce waste in all its forms. This is an Australia-wide challenge featuring Taroona High School from Tasmania, Berry Springs Primary School from the Northern Territory, and Fremantle College from Western Australia. Led by ABC ME host Lawrence Gunatilaka, our Waste Warriors will start saving the Earth, one school at a time! Small actions can spark big changes. It’s time for Australians to collectively change the way we think about rubbish by continuing the war on waste. 4:30pm Wednesday July 25 on ABC ME.